Costa Rica’s size belies the wonderful amount of wonders that naturally inhabit this Central American paradise. The variety of eco-systems found here truly has you wondering how can so much fit into such small area. Arguably more diverse than a country as large as its South American cousin, Brazil, there is something to see and explore for everyone within Costa Rica’s borders. Tropical beaches, rainforests, volcanic peaks to name but a few of the landscapes as well as the rich fauna and numerous wildlife species are here for all to see. People looking for alternative holidays and natural explorers will not only like what they see, they will fall in love with a country that offers adventurers the opportunity to climb, raft, trek and ride to some of the most beautiful and wondrous places on Earth. If you would like to know more about Travelbag’s excellent tailor-made holidays to Costa Rica, don’t hesitate to contact us on 0203 139 7074 and speak with one of our friendly and knowledgeable travel experts. It would be easy to associate Costa Rica with the geographical area that encompasses the entire Latin American region due to the amount of natural wonders that are encompassed within its borders. However, Costa Rica is nowhere the size of some of its South American neighbours but yet it is home to some of the world’s most amazing sights. The biological diversity of the country is what is most impressive for those seeking natural splendour while on holiday; Costa Rica can be considered the perfect place to go. 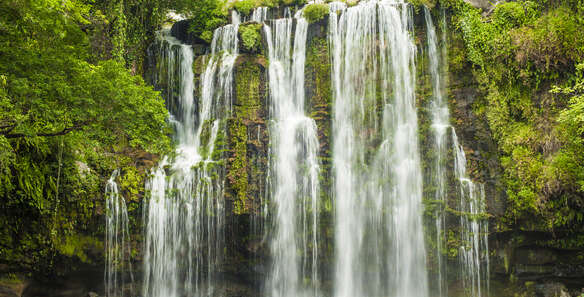 Spectacular landscapes are visible wherever you go and Costa Rica is home to the serene such as the valleys, lakes and beautifully secluded beaches, but it is also home to areas of exquisitely dramatic nature. Frequently erupting volcanoes provide a sense of exploration and wonderful adventure as they encompass a wonderful variation of this diverse landscape. With a fascinating indigenous culture as well as providing the perfect holiday retreat together with excellent diving opportunities and golden, sandy beaches, Costa Rica will leave you filled with wonder at the sheer magnitude of its attractions. Manuel Antonio National Park whereby the ecologically rich grounds provide a fantastic backdrop to exploration. Viewing the dramatic eruptions of the country’s mighty Arenal Volcano. Golden, sandy beaches providing you with a secluded retreat to relax and take in your surroundings. Diving opportunities and capture the natural sea life such as green turtles that inhabit the waters off the coast.